Apache Tomcat (formerly also Jakarta Tomcat) is an open source web server and servlet container developed by the Apache Software Foundation (ASF). Tomcat implements the Java Servlet and the JavaServer Pages (JSP) specifications from Sun Microsystems, and provides a “pure Java” HTTP web server environment for Java code to run in. Web server (apache) process web client (web browsers) requests and forwards it to servlet container (tomcat) and container process the requests and sends response which gets forwarded by web server to the web client (browser). Extract downloaded archive using following command. After extracting java archive file, we just need to setup to use newer version of java using alternatives. Use the following commands to do it. Now you have successfully configured java in your system. Go to next step to check current installed version. 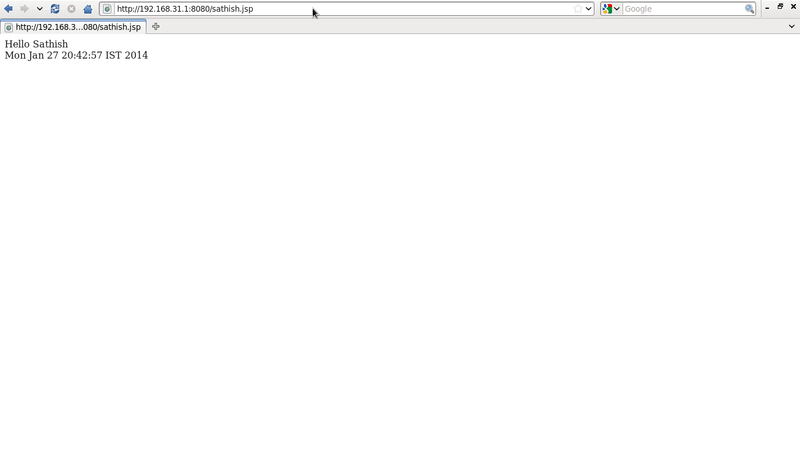 Now check Version of JAVA . Most of java based application uses environment variables to work. Use following commands to setup it. 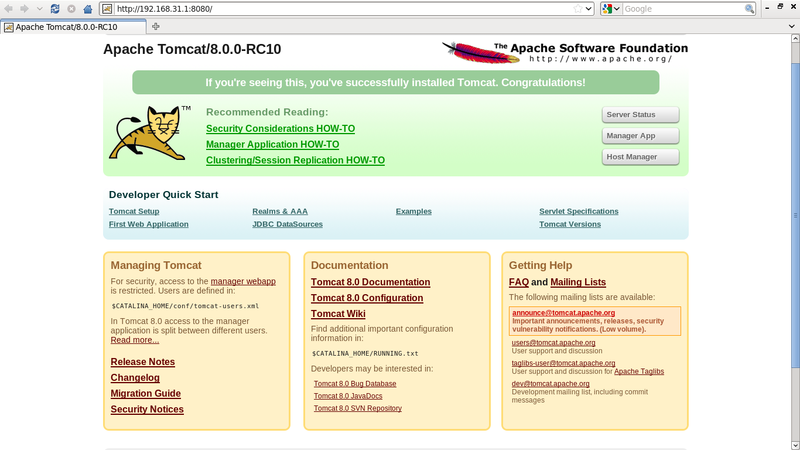 You can download the latest Version of Apache tomcat from this Link http://tomcat.apache.org/download-80.cgi#8.0.0-RC1. 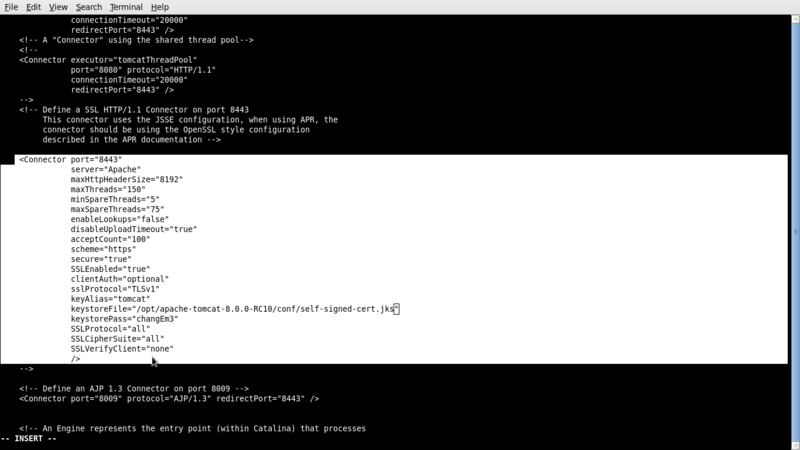 For security reasons I don’t run the Tomcat server as user root but as tomcat which was created with no login shell. Therefore, to run Tomcat use the su command with the -p option to preserves all the environment variables when switching to tomcat (more on the Tomcat environment variables later). 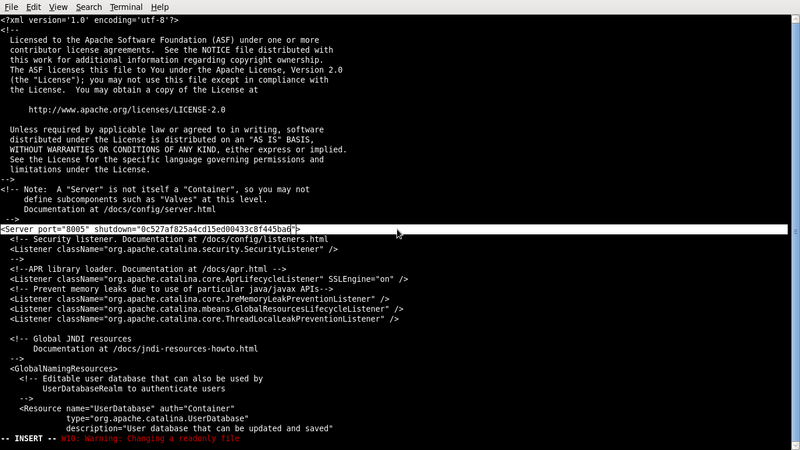 And since the tomcat account has no login shell, it needs to be specified with the -s option. Before running the script, the JAVA_HOME environment variable should be set to the base path of the JDK. Protect the shutdown port 8005. 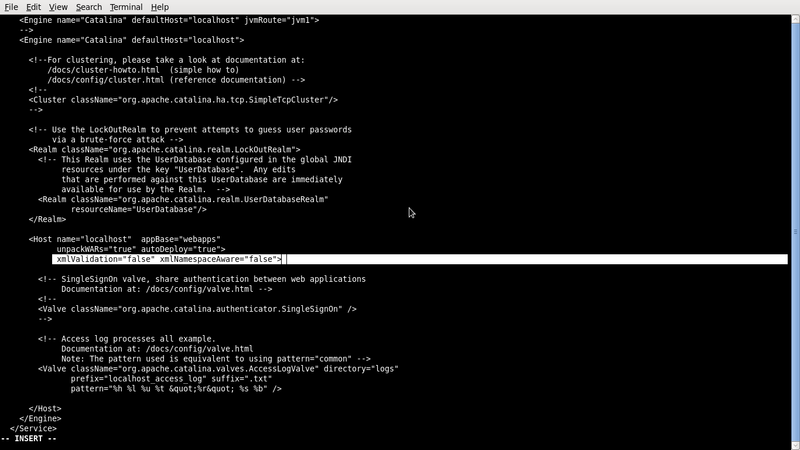 Modify server.xml and add a really complex password. 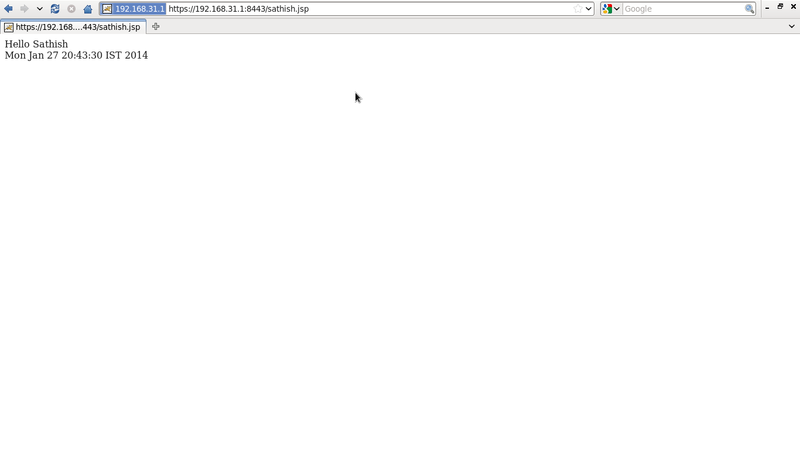 Edit server.xml file in conf directory. Now test Tomcat by removing contents in webapps and create a file in that directory. First use the keytool to create a java keystore as shown below. Make sure to note down the password that you enter while creating the keystore. 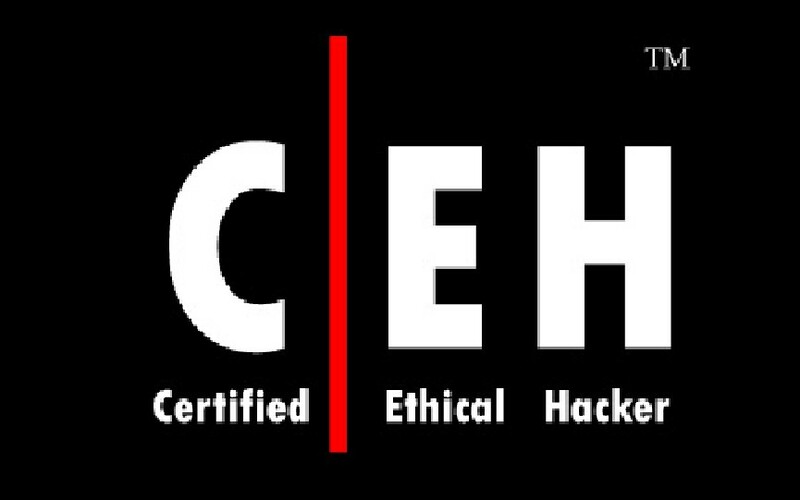 Locate the conf/server.xml file located under the tomcat directory. If the Connector port=”8443″ is commented out, you should uncomment it first. Please note that the comments in the server.xml file are enclosed in <!– and –> as shown below. You should remove the 1st and last line from the following code snippet. 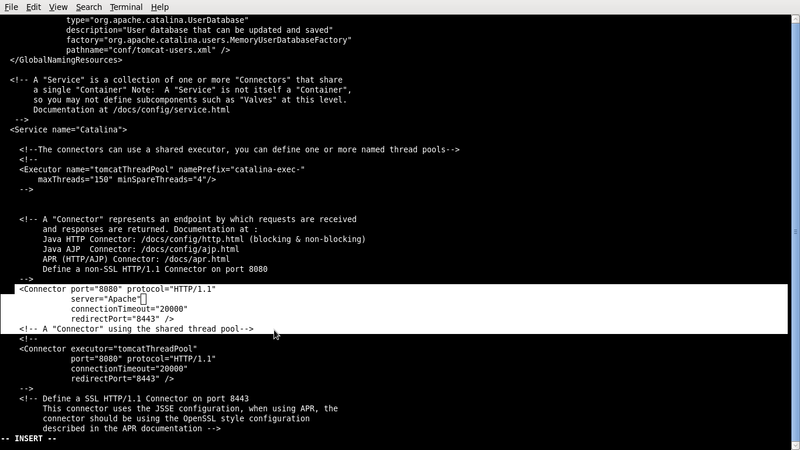 The Netfilter package that comes already with Linux is transparent to Tomcat. The following steps show how to relay port 80 and 443 TCP connections to Tomcat’s port 8080 and 8443 using the iptables command from the Netfilter package. To make the rules permanent for reboots. It should be noted here that there is one Tomcat configuration parameter that you may or may not want to change, the proxyPort parameter in the server.xml file. Since Tomcat still receives requests on port 8080 as they are relayed by the Linux Netfilter system from port 80, Tomcat may display port 8080 in the URL depending on the application’s content. So if you want to change it to port 80, the proxyPort parameter would need to be added in the $CATALINA_BASE/conf/server.xml file for port 8080. That it ,if any problem ping me up….